In the journey to sustain the path to excellence and global competitiveness, Indiana Aerospace University (IAU) reverberates the significance of holistic growth among all Aerospacers . . . read more . 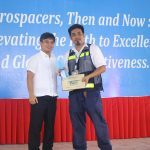 . .
To celebrate Indiana Aerospace University’s Silver Jubilee Anniversary culmination, Aerospacers from Pre-school to College trooped to Robinson’s Galleria Cebu on March 18, 2018. The highly-anticipated . . . read more . . .
“What makes you phenomenal is that if others are still looking at the sky, IAU graduates are already looking at the moon,” quipped guest of . . . read more . . . It has been 16 years since Ms. Vanessa Leyva was crowned Miss Indiana Aerospace University in 2002. Now that IAU has reached its monumental silver . . . read more . . . In celebrating our school’s Silver Jubilee, we take time to break away from day-to-day schedules to give way to an equally necessary pursuit of skills . . . read more . . .
July 17, 2017—The Indiana Disaster Risk Reduction Management Unit (IDRRMU) had its first emergency response exercise. The unit held a university-wide earthquake drill to showcase . . . read more . . . 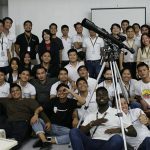 Hundreds of applicants trooped to the Aerospacer Hall of the Indiana Aerospace University last June 24 for the One-Day Recruitment of Philippine Air Lines Express . . . read more . 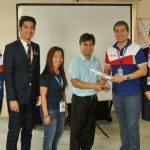 . .
Indiana Aerospace University (IAU) launched its Career Orientation on June 24, 2017 with the slogan “Hagit sa Aerospacer” to both the senior high school and . . . read more . . . 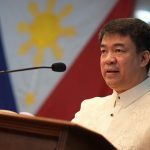 Along with the cultural performances, exhibits, art fairs, food markets, and interactive demonstrations in 27 museums and heritage sites all over Cebu, Mandaue, Talisay and . . . read more . 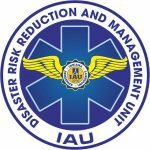 . .
As the campaign for disaster-preparedness is heightened, Indiana Aerospace University (IAU) launched its very own Disaster Risk Reduction and Management Unit (DRRMU) on the summer . . . read more . . . 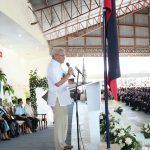 Standing before them at Indiana Aerospace University’s (IAU) 24th Commencement Exercises on March 24, 2017, Guest of Honor and Speaker and Civil Aviation Authority . . . read more . . . 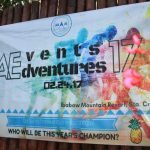 This year, the College of Aerospace Engineering (AE) launched a week-long celebration under the leadership of its student organization, the Society of Young Aerospace Engineers . . . read more . 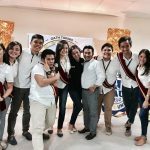 . .
On March 6, 2017, throngs of Aerospacers trooped to the College Audio-Visual Room (AVR) for the 2017 Supreme Student Council (SSC) Elections. The campaign period . . . read more . 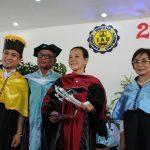 . .
During the 23rd Commencement Exercise last March 19, 2016 held in the gymnasium, the IAU Graduating Batch of 2016 or colloquially tagged as batch “Remarkable” . . . read more . 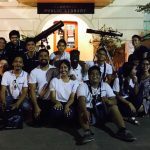 . .
On October 12, 2016 IAU Astronomical Society marked its inauguration as an official student-organization. 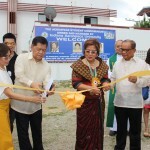 The club also inducted their first-ever set of officers working together under . . . read more . 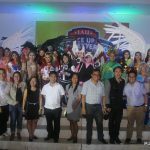 . .
Pasundayag sa IAU 2016 is a three-night festival and competitions in public speaking, visual arts, performing arts and literary arts. It aims to showcase the . . . read more . . .
Good news to the Aviation Majors and student pilots: the upgraded flight simulator is now fully operational at the College of Aviation’s flight simulator room! . . . read more . . .
Indiana Aerospace University together with its benefactors and ecclesiastical community celebrated the feast of St. Therese of Liseux “guide of aviators”— the patroness of . . . read more . . .